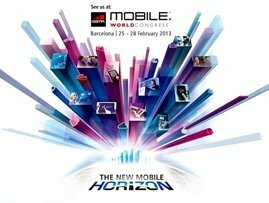 The annual meeting Mobile World Congress, ongoing this week in Barcelona, seems to mark more than any other event the end of Apple dominance in the global market for smartphones and tablets and the rise of some rivals with more open operating systems. Mozilla has opened the event in Barcelona unofficially. The nonprofit organization, which used Firefox a decade ago to fight Microsoft control in the online search engine market, wants to change totally the smartphone market as well. The industry is currently unnaturally controlled by a few companies, said general manager of Mozilla, Gary Kovacs, during the presentation of the first generation of mobile devices with Firefox operating system. More than 20 telecom industry executives who brought their support to the launch of Firefox OS had similar views. “We change the industry for the common good,” said Cesar Alienta, general manager of Telefonica, one of the largest telecommunications companies in the world. Spanish company chief criticized the closed operating systems, such as iOS, and warned that “the smartphone market is making a step back from the internet’s opening feature”. Telefonica wants to introduce shortly Firefox OS devices in Spain, Brazil, Colombia and Venezuela. America Movil, controlled by Carlos Slim, the richest man in the world, committed to launch Firefox OS in Mexico “and in all possible markets” soon. The outgoing General Director of Deutsche Telekom, Rene Obermann, called the Firefox OS release “an important step towards more competition between different systems”. Deutsche Telekom will launch Firefox OS devices starting from this summer in Poland. Mozilla is not the only company that wants to change the market for smartphones and tablets. Samsung and Intel are also developing an operating system called Tizen, which would be even more open and will allow software developers more important changes compared to Apple's iOS and Google's Android. Mobile operators are strongly attracted by the prospect of being able to strongly change the operating systems, for an interaction as direct as possible with the user. The irony in this case is that the success of Samsung with Tizen would make the South Korean company less dependent on Google and stronger in the smartphones and tablets market. The rest of the world seems to recover the distance to Apple's platform for mobile devices, and the American company must innovate again or will be cannibalized by rivals with cheaper and more accessible devices. Smartphone market seems to have matured, so that real opportunities could be in the expansion in emerging markets.